Sorry, but school always comes first. I have to do an orientation down at Binghamton University, so I will not be available to blog for a while as my new laptop has not come in yet. I hope to come back or gain access to a computer soon. Scientists used clues from star and sun positions mentioned by the ancient Greek poet Homer to determine the date when Odysseus returned from the Trojan war to Ithaca (not the town in New York) and killed the group of suitors trying to marry his wife as portrayed in The Odyssey. According to researchers at the Proceedings of the National Academy of Science, the date was April 16, 1178 B.C. Here are some of the clues from The Odyssey that helped the researchers pinpoint the date. The slaughter the sun is blotted from the sky, possibly a reference to an eclipse. It is the time of a new moon, which is necessary for a total eclipse, the researchers say. Six days before the slaughter, Venus is visible and high in the sky. Twenty-nine days before, two constellations — the Pleiades and Bootes — are simultaneously visible at sunset. 33 days before, Mercury is high at dawn and near the western end of its trajectory. This is the researchers’ interpretation, anyway. Homer wrote that Hermes, the Greek name for Mercury, traveled far west to deliver a message. Since the occurrence of eclipses and the various star positions repeat over periods of time, Magnasco and Baikouzis set out to calculate when they would all occur in the order mentioned in The Odyssey. They claim it was April 16, 1178 B.C. Sorry about the delay, but my internet was down, so I could not write. Time for a rant. THE POLES ARE OUT OF UEFA EURO 2008! ARRGH!!! Coach Leo Beenhakker completely revitalized this team and what…they can’t even win a single game in their group. They get a solid chance to beat Germany for the first time, but they mess that up. Alright. I wasn’t really expecting to win that one. Then they play Austria, the worst team in the group. First, they let in like 4 breakaways which were defended brilliantly by Artur Boruc. If not for him, they would be out of the game. Then they score a great goal and defend well. Then the stupid English referee calls a penalty kick for a tiny tug of the shirt! What!? There is no way the ref should decide the final outcome of the game like that. That was no penalty. Every team has been doing stuff like that and you decide to call it now, just when the Poles are about to win! Finally, they need to beat Croatia to have any chance of going through. And what do they do? Nothing! Boruc plays amazingly again, but there is no offense! If you can’t tell already, I’m a bit peeved by the whole thing. I suppose there will always be next time. Brazilian President Luiz Inacio Lula da Silva (long name) signed a bill that would reserve 3.8 million acres in the Amazon rain forest for a Native American reservation. The site is also a hot spot for logging. The Bau reservation has been legally sought by the Kayapo Native Americans since 1994 as it is their ancestral territory. Loggers and settlers, however have been blocking the passing of the bill. Brazil‘s 1988 constitution declares that all Native American ancestral lands must be demarcated and turned over to tribes within five years. While that process is not yet complete, about 11 percent of Brazilian territory and nearly 22 percent of the Amazon is in Native American hands. There has also been increasing pressure on the government to limit the size of reservations as logging, ranching, and farming expand into the Amazon. Studies show that Indian reservations tend to be the best preserved areas of the rain forest because the tribes protect the borders. National parks and ecological reserves rarely have enough staff to police their territory, while the tribes do. The researchers studied 304 participants with colon cancer in their research. They drew blood and measured their vitamin D levels. Those with in the highest quartile of vitamin D concentration had a 48% lower risk from dying of their colon cancer. 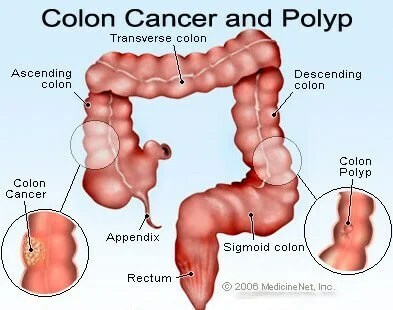 During the study period, 123 patients died, 96 of them from their colon cancer. The odds of dying from colon cancer specifically, according to Ng were 39% lower if the patient’s vitamin D levels were in the highest 25%. Ng later said, “It is significant. There’s definitely an association, which is what we showed in our study. I think definitive proof of the benefit would require vitamin D be studied in a clinical trial.” Along with surgery to remove the largest bits of cancer and regular chemotherapy, Vitamin D supplements can make colon cancer much more manageable or even curable. In the laboratory, Vitamin D seems to slow cancer cell growth, as it appears to be involved in programmed cell death, which can kill cancer cells, and may be involved in inhibiting blood vessel growth in tumors. Essentially cancer is the uncontrolled growth of cells as they are out of their cellular cycle. Vitamin D can slow the cell growth and hopefully put the cells back into their cycle. This is not surprising as many vitamins including C (http://en.wikipedia.org/wiki/Vitamin_C#Therapeutic_uses) have therapeutic uses in modern medicine. Ancient Thuresday: The Find of the Century? Hanksville, Utah is about to become a hot-spot on the paleontological map. There, in the southeast of the state, a batch of well-preserved dinosaur bones, petrified trees and even freshwater clams have been unearthed. They all date from around 150 million years ago. An excavation of the area revealed at least four sauropods, long-necked, long-tailed, herbivorous dinosaurs, and two carnivorous ones. There may also be a stegosaurus. Animal burrows and petrified tree trunks 6 feet in diameter were also found nearby. 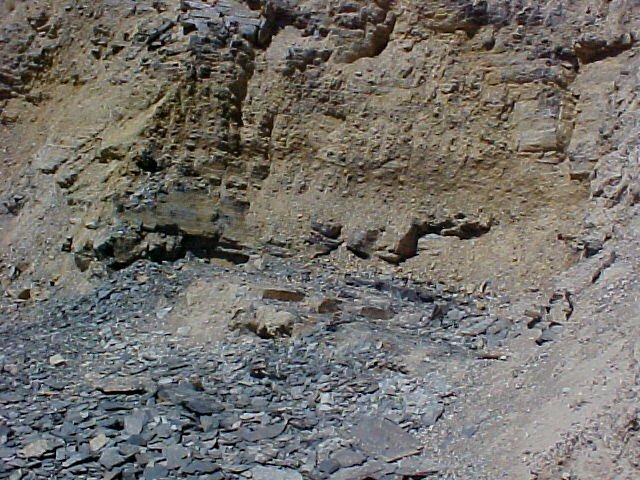 The site does not contain any new species, but offers scientists the chance to learn more about the ecology of that time of the late Jurassic. The fossilized dinosaurs are all from the same late Jurrasic, much like those at Dinosaur National Monument, which is partially in Utah. The site measures roughly 50 yards wide by 200 yards long and was excavated by a team from the Burpee Museum of Natural History in Rockford, Illinois. The bones were found in a sandstone channel of an ancient river. Thanks to the depth at which the bones were found, “The preservation of these dinosaurs is excellent,” Scott Foss, a leading paleontoloist said. The mix of dinosaurs, trees and other species in the area may help scientists fill in the blank spaces of how the area and life which resided there looked like 145 million years to 150 million years ago, including details about the ancient climate.